eMarketer predicts that social network advertising will account for nearly 11% of all online ad spending in the United States by the end of this year. According to the research firm, US marketers will spend a little over $3 billion to advertise on social networking sites this year, up 55 percent from the $1.99 billion advertisers devoted to social networks in 2010.
eMarketer projects this number will rise by a further 27.7% next year to reach nearly $4 billion. 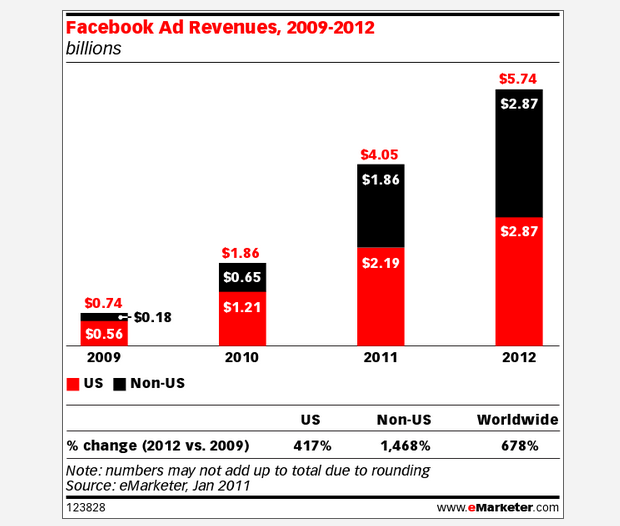 The 2011 forecast for online ad spending in the United States is $1 billion higher than eMarketer’s last estimate of US social network ad spending, made in August 2010. The primary driver of the change in projected spending is greater ad spending on – you guessed it – Facebook, the company says. eMarketer predicts ad spending on Facebook will rise to $2.19 billion in the United States this year, and just over $4 billion worldwide – both more than double last year’s figure. 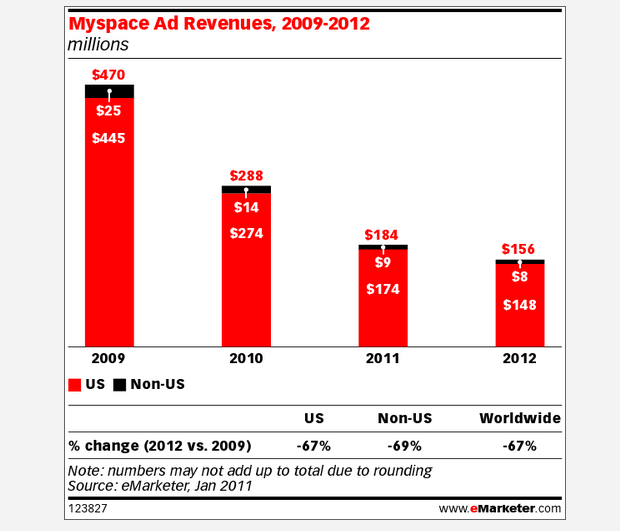 As we mentioned yesterday as well, eMarketer expects ad revenues at once-rival Myspace to drop to a lousy $184 million in 2011, down from $288 million in 2010 and $470 million in 2009.